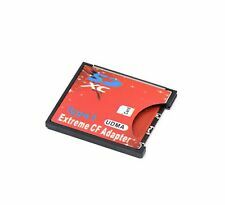 Features:Support: SD SDHC SDXC MMCInterface: CF Type ISupport SD3.0 and Windows exFAT file systemSupports CF true IDE mode/memory mode/ IO modeA high-speed CF card interface, ensure the speed with almost no lossSupport capacity: 8MB ~ 128GBSupport System: Windows 2000 / XP / VISTA / 8 / 10 /MAC 10.4 aboveDimensions: 36 × 43 × 3.3mmOperation:Insert the media card into this adapter then insert the adapter to the CF socket of the device;To extract the inserted media card , please directly pull the card out;Be noted that to use the WIFISD on CF supported camera, the time of the "Auto power off"setting should be properly adjusted to give WIFI SD enough time to finish the WIFI transfer.Package included:1 X SD To CF Type I Card Adapter (SD car. 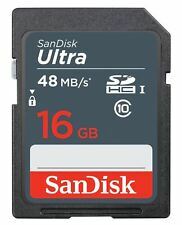 With SanDisk Ultra® UHS-I cards you'll benefit from faster downloads, high capacity, and better performance. card to your computer. 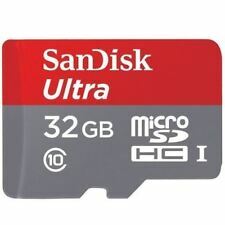 SanDisk Ultra UHS-I cards4 are water-proof, temperature proof, X-ray proof, shock proof. Format: Compact Flash (CF) Standard. They are ideal for enthusiasts and professionals. Storage Capacty:4G,8G,16G,32G,64G. We will do our best to solve your problem as soon as possible. We will send a new one to you after receiving the defective item. Format : SDHC. Other products also carry warranty against manufacturer’s defects. Ultra fast ?. Up to80MB/s read speed; write speed lower. Model : Ultra. Storage temperature: -40ºF to 185ºF (-40ºC to 85ºC). Format : SDHC. Other products also carry warranty against manufacturer’s defects. USB Flash Drive. Portable External Hard Disk. Storage Capacity : 32GB. Support Error Correcting Code (ECC) to detect and correct errors. VideoSpeed: C10, V30, U3. Competibility:Compatible with SanDisk SD UHS-I Card Reader for speeds up to 150MB/s. Format : U3 V30. Other products also carry warranty against manufacturer’s defects. Thissoftware makes it easy to recover files that have been accidentally deleted(download required). Olympus xD M plus Picture Card is compact for smaller and more stylish digital devices. Card features 2GB of storage space. Compatible with most manufacturers' xD M compatible devices. 16GB 32G 64GB SDDD3 SanDisk 150MB/s M3.0 Micro Flash Drive USB3.0 OTG Ultra Dual. Olympus xD M plus Picture Card is compact for smaller and more stylish digital devices. Compatible with most manufacturers' xD M compatible devices. Card features 2GB of storage space. Model No:M-XD1GMP. 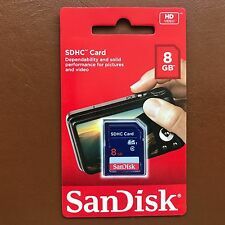 SanDisk Ultra SDHC 8 GB UHS-I Class 10 Memory Card 40 MB/s Retail Product Description Capture Full HD Video (1080p) with Class 10 Performance The SanDisk Ultra SDXC UHS-I Memory Card is ideal for recording high-quality videos with a point-and-shoot digital camera or camcorder. The card's Class 10 rating means it can keep up with the demands of recording Full HD1 video (1080p). Additionally, read speeds of up to 40 MB/s3 minimise the time you'll spend waiting to transfer videos to your computer. 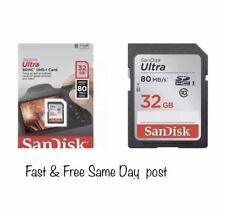 Capacities: 8 GB Twice as fast as ordinary SDHC/SDXC cards Record faultless Full HD (1080 p) video Transfer photos and videos in moments. Product Capacity: 4GB For added reliability and durability, our solid-state SD memory cards are built of nonvolatile memory components and have no moving parts to wear out or break. Quickly and easily download and transfer digital files between various digital devices, a computer and the Internet. An SD memory card reader makes it easy to upload files from an SD memory card to a computer. Features: 1. Highly secure stamp-sized flash memory card 2. Security feature for protection of copyrighted data 3. 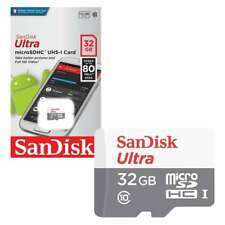 100% compatibility with all SD compliant devices Tech Specs : Storage Capacity: 4 GB Form Factor: Secure Digital (SDHC). Durability-tested to keep up with even the most active lifestyles. Built for and tested in harsh conditions. Temperature proof, waterproof, shock proof and x-ray proof. Extra Large Storage Capacity. Transfer pictures and videos from the card to your PC at rate of up to 80MB/s. Transfer data from your card to PC at a transfer rate of up to 80 MB/s. ​​​​​​​Compatibility: Compatible with SDHC supporting host devices. 8GB, 16GB, 32GB and 64GB. MORE SPACE FOR SONGS, VIDEOS, AND DATA. Water-proof, temperature-proof, X-ray-proof, vibration- proof, shock-proof. If you're unsure if suitable for your application, just ask and we'll look it up for you. Samsung Galaxy J6 A9 A7 A6 S9 S8 Note 4 3 2 PHONE TAB. Samsung Galaxy J3 J5 S6 S5 S4 s3 Galaxy Y S5360 Galaxy S5570. Samsung Galaxy ACE 4 J3 J5 Edge note 4 Galaxy A4 A5 S5 s6. Samsung Galaxy NOTE 4 Black S5 Charcoal white S3 Mini White. GET THE MOST FROM YOUR DSLR OR CAMCORDER. SHOOT RICH, CINEMA-QUALITY VIDEO. And, with transfer speeds of up to 160MB/s, it makes it easy to move even large files for storage and editing. Ending Soon. PNY 5 YEAR MANUFACTURERS WARRANTY. PNY SD Performance cards are designed for capturing demanding action photos and Full HD video and are ideal for any subject matter or light settings. 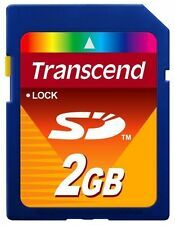 FAST 80 MB/s read and 20MB/s write transfer rates: Whether you're a photo enthusiast or an amateur photographer, SD Performance cards are ideal for high quality shots in almost any situation. They’re fast, built to last, and ready when you are. Large storage capacity, up to 8GB. 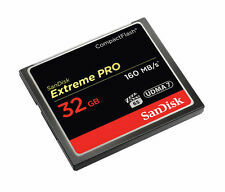 The Class 10 rated SanDisk Extreme Micro SDXC UHS-I card with Adapter offers flawless full HD video and photo capture. This card is designed to be used with advanced Smartphones, Tables, and Action Cams. 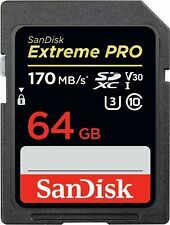 The SanDisk Extreme allows you to snap photos continuously while the Class 10 rating and UHS Speed Class 3 of these memory cards also gives you the power to capture the fast action of high quality pictures, action photography, and full HD video.Technical Details:- Best for Advanced Smartphones, Tables, Action Cams- Faster shot speed to catch the action- Speed up to 160 MB/s read speed- Class 10, UHS Speed Class 3 (U3), A2- Full HD Video- RescuePro Deluxe data recovery software- SanDisk Memory Zone app included- Lifetime limited warranty Record in F.
SDXC enabled UHS devices. compatible with SDHC and SDXC digital devices. 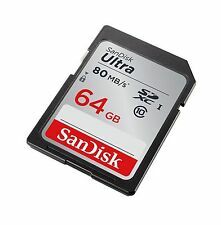 With SanDisk Ultra® UHS-I cards you'll benefit from faster downloads, high capacity, and better performance. card to your computer. Form factor: microSDHC™ (16GB, 32GB), microSDXC™ (64GB) Available capacities: 16GB, 32GB, 64GB** Performance/speed: Up to 30GB/s read speed** Temperature proof, water proof, shock proof, and x-ray proof** Card dimension: 0.59in x.043in x.04in (14.99mm x 10.92mm x 1.02mm) Operating temperature: -13ºF to 185ºF (-25ºC to 85ºC) Storage temperature: -40ºF to 185ºF (-40ºC to 85ºC) Compatibility: Compatible with microSDHC and microSDXC supporting host devices** Class 10 for Full HD video (1920x1080)** Support: 7 year warranty** Product Numbers Global. 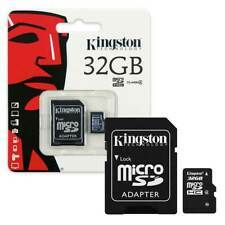 microSDHC high-speed memory card designed for mobile phones and tablets. 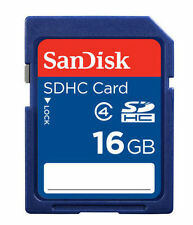 SDHC Class 10 memory card offering read speeds up to 40MB/sec and write speeds up to 10MB/sec. Twice as fast as ordinary Secure Digital SD / SDHC cards - up to 80MB/s transfer speeds. Capacity: 32GB. Capacity: 64GB. 100% NEW AND GENUINE KINGSTON! Tough and Dependable: Waterproof, shock and vibration proof, X-Ray and temperature proof too! Supports continuous burst mode and ensures video integrity by reducing stutter. Features: - Capacity: 512GB - Easily expand your devices memory capacity - Share more of your favourite photos and videos with your friends and family - Capture more photos - Play more of your favourite music - Compatible with most mobile phones,PDA's, Tablets and laptops. 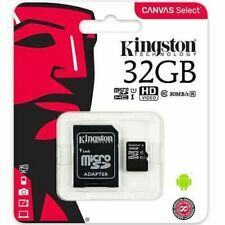 - Form factor: microSDHC - Compatibility: Compatible with all microSDHC-supporting host devices - Reliability: Water-proof, temperature-proof, x-ray-proof, vibration-proof, shock-proof Package Included: 1 × Micro SD Card 512GB a Free ADAPTER . 100% NEW AND GENUINE KINGSTON! Capacity: 32GB. Tough and Dependable: Waterproof, shock and vibration proof, X-Ray and temperature proof too! Supports continuous burst mode and ensures video integrity by reducing stutter. 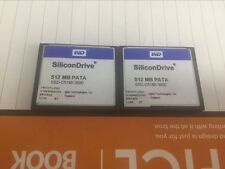 Product Line WD SiliconDrive II. Technology ATA Flash. Storage Capacity 2 GB. Form Factor CompactFlash Card. Model SSD-C02G-4600. Color Category black.